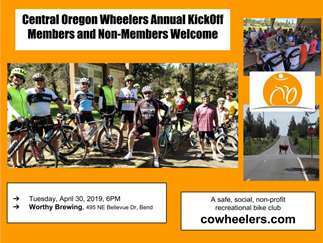 Kick-off the 2019 road bike riding season by attending this Central Oregon Wheeler's event. Members and non-members welcome, so bring a bike-curious friend! We'll talk about the club, rides, and have a good time discussing the upcoming bike season. We look forward to seeing you. Free, accept for the beer and food you buy.